Hahahahahaha I think this is great. I hope the settlement is exactly like that. What in the world makes anyone think that if the threat of arrest doesn’t encourage you to go to court what makes you think that a free Uber ride will get you to court. People with P.R. bonds miss court at a much higher rate then people on bond. Its a fact. This is just hilarious. One more thing. I think everyone should get a letter of apology for being inconvenienced for being arrested for committing a crime. No better yet when an officer on the DWI task force catches a drunk driver he should be required to call an uber or taxi to pick up the person. He should then have the car towed to the guys house. That way we don’t arrest him at all. There should be no consequences for committing a crime. We all know that the people we are talking about are Deacons in the Church, Managers at Wal-Mart, students in M.B.A. programs. Its not their fault they were arrested. This is your hero. Everyday in Harris County. Paul, I’ve seen you post the stats in how many people on PR bonds don’t show up, it is high. Where does that stat come from? I found this article. Says 45% don’t show for sheriff bonds and 26% for judicial bonds. Some are still being processed and some are given wrong dates, does not say how many. Seems like the sheriff could work on the process to improve that number. That’s pr bonds for both numbers. Did not have cash bond numbers in the article to compare. Jules, the numbers are real. Everyone knows that. No one cares. No responsibility is the name of the game. Can’t wait until Kuffner posts about the Dallas D.A.’s new policy on theft. if the numbers are real than their is data to support your claim Paul. Where is the data, provided a link. As to the facebook post, that is typical of Trump supporters, aka Republicans, that they use on example to claim that it applies to all. If he had posted a bond, would it make a difference? Your claim is that poor people are evil and should not be given the benefit of the doubt. In fact Paul there is more to the story than just a facebook video. One judge made the decision, it was not a policy. When will Trump supporters, misstate facts to try to prove a point. Your claim is that people of color are evil and bad people and should not be given the benefit of the doubt. I guess I could make a claim that all white males that are between 50 and 70 are mass murders, ha ha ha ha ha ha, I think that is great. I am not gloating I am showing you what you did. It is not great nor is it something to laugh about. Paul, I think that people shouldn’t be locked up pre-trial just because they’re poor and I think they should show up for court. It seems like the sheriff has procedural issues that can be addressed – people need to know when and where their court dates are. On the free Uber thing, not sure how much that would help, but the locked up people do get a ride to court, as well as room and board and a stripey orange and white outfit. I did find a stat that said 95% of the people out on bond show up, that’s pretty good, I doubt the locked up people get to 100%. I didn’t say that. You are lying and you know it. The numbers have been filed in the federal case. Rosenthal knows it and she just doesn’t care. Enjoy paying for Uber rides and cell phones. Just embrace the new normal. Do not be scared of it. Why post the facebook video about a poor Black American, then Paul? Why is it that Trump lovers/Republicans always like to use images of people of color? One would think that there are no poor white Americans by what Republicans post. That was white officer making that statement, wasn’t it. 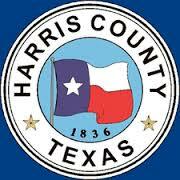 As to the Uber rides if they do occur at least Houstonians will start getting something for all the County taxes they pay. Manny he was an armed robber facing 5 life sentences. Not because he was Black or poor but because he is evil. I know what he was Paul, I read some article before posting my first comment. But that is what Trump and the Republicans do, they find one incident and blow it out of proportion and almost, if not awlays it is a person of color that they take aim at. Presently you have your god Trump, posting 9/11 videos targeting a woman of color who is not a Christian, she is an evil Muslim if one were to believe the Trump Party. Thousands of lives lost and he is happy that he know haves the tallest building. Your god, Trump, also took hundreds of thousands of dollars meant for business hurt by 9/11 using his tallest building. He claimed damage when there was none. Free Ubers may not be a great idea, but as far as cost goes, it’s cheaper than providing room and board, plus a ride to court. They need to start with making sure people knew when and where their court dates are. People have always signed a document acknowledging that they knew where and when they were going to have their next court date. The one article I read said that the sheriff’s office specifically had a problem with this and blamed it on part on Harvey(?). Since this is a newly implemented policy, I am not surprised they have issues that need to be fixed. It is wrong to detain people for months pretrial because they are poor. The way you can tell what is the truth is by looking at the bond forfeitures. Can’t have a bond forfeiture without a signed promise to appear. The anti bail people are still suing on bond forfeitures. It’s just that instead of suing the bondsman they are suing the poor defendant. The poor who miss court will actually pay more in the long run. That’s the way it works. Don’t do the crime if you can’t do the time – Baretta. The 55% who show up will be better off. Hopefully the sheriff will figure out hiw to give the correct court dates. The Sheriff does. He has never had a problem with it. Can’t have a warrant for missing court without proof that the Defendant had notice of the court date.